Welcome to the future, where the past tries to wreck havoc. Animated feature Little Door Gods released a poster as awesome as it’s long as well as a MV recently. I love the contrast of the Door Gods in a futuralistic city in the sky at the beginning and the modern-looking family in a rather traditional setting at the end. The film is set to air on January 1st. I’m hoping this comes to North America! When the Guardians of Homes start losing their jobs in modern society, one group of gods try to wreck havoc to make themselves needed again. Following the most successful season of Chinese animation, the highly anticipated (by me, anyways) Little Door Gods 小门神 released another trailer, this time with English subs! 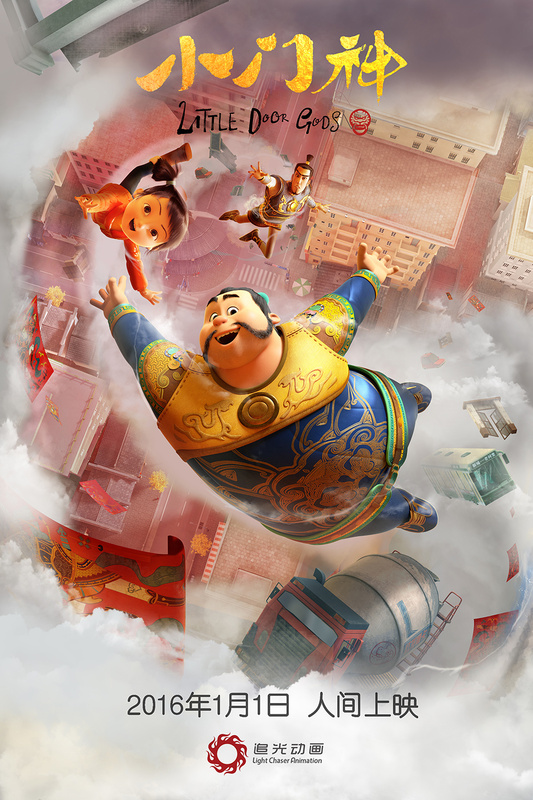 The animated feature follows a pair of door gods looking to save their jobs as people lose their faith. The film airs on January 1st next year, and is the first feature animation from startup Light Chaser Animation. Hopefully the story is as good as it looks and there’ll be more to come! What happens when the traditional Door Gods gets shut out from the modern household? Think you never want to see another winter again? Not if you’re a fan of Chinese animation. 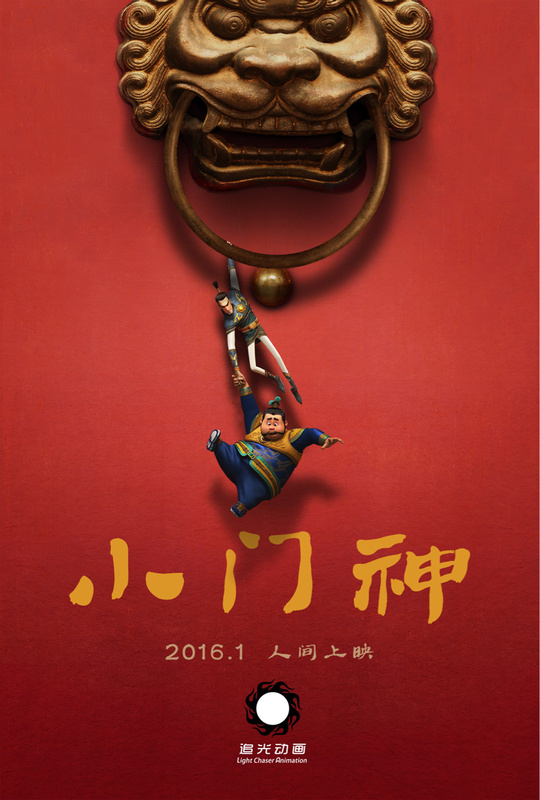 After the long-waited Big Fish was picked up for release in November 2015, another great-looking Chinese animation film, The Guardians of Doors 小门神, has announced it’ll be airing in January 2016. 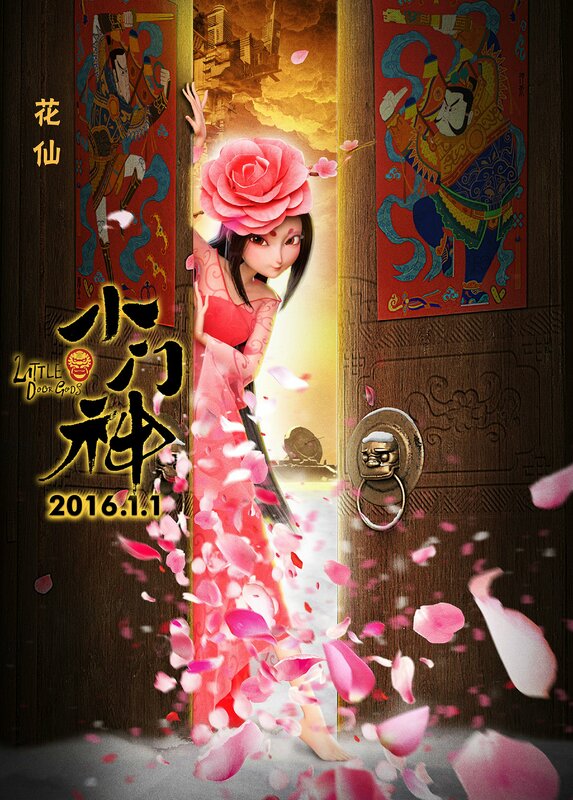 The film is expected to air in 2016, trailer below, with narration by Bai Ke. It’s the first from new animation studio Light Chaser Animation.